with going from 1 to 100000 and chosen to get values between 0.1 and 1. Distribution of the first digits (considered as a fraction between 0.10 and 0.99) of the first 100000 powers of two. 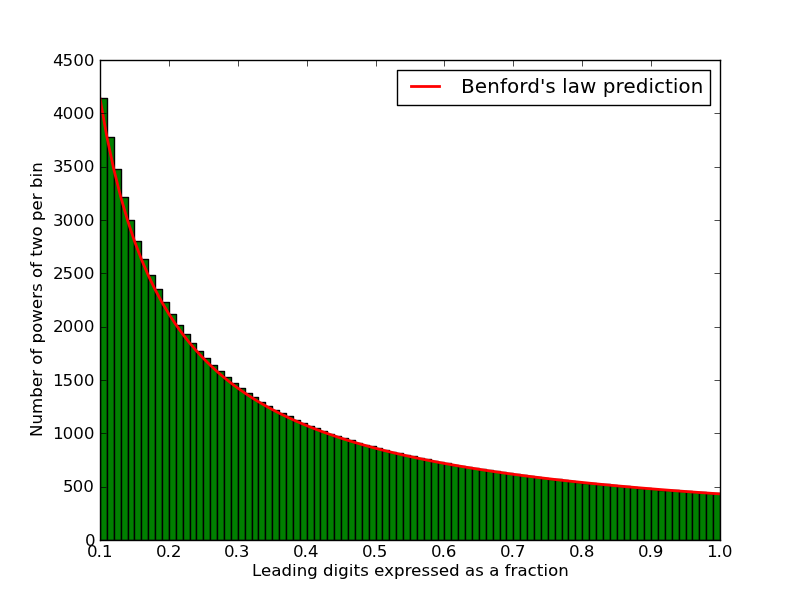 The previous plot, adding the prediction given by Benford's law. 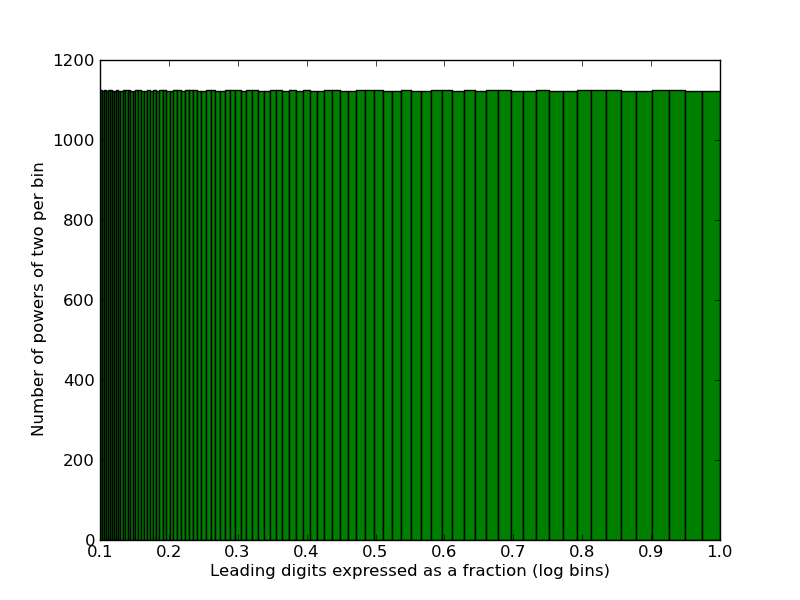 Distribution of the first digits (considered as a fraction between 0.10 and 0.99) of the first 100000 powers of two but grouped in logarithmic bins. As the leading digits expressed as fractions cover the interval between 0.1 and 1 quite densely, we can expect that some power of two will start with the digits 31415926535897932384626433832795028841971, but this plot is quite far from being a proof. Now the problem is reduced to see if we can find a multiple of such that its fractional part falls between two given real numbers. In the next section we will see how this problem can be solved. So we can be quite confident that an exponent smaller than should meet the requirements, though it’s obviously impossible to find it by brute force. But it should be feasible to compute values of , and and getting the first 100 digits of .